I was listening to The Writer's Almanac today, and Garrison Keillor's soothing voice introduced me to the wonder that was Sarah Josepha Hale, the editor and poet who is widely credited with successfully campaigning to make Thanksgiving a national holiday. 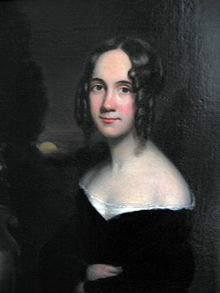 Hale was also a major force behind preserving George Washington's Mount Vernon plantation, the creation of the Bunker Hill Monument, and, oh yeah: she wrote "Mary Had A Little Lamb". Does she have a Google Doodle in her honor? And if not, why not?